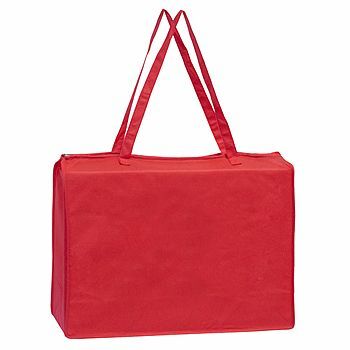 Each bag is sufficiently sized to safely carry any number of items. The main compartment and large front pocket have Velcro closures that ensure contents never spill. Polypropylene is tear and moisture resistant, which adds to the security of the contents inside. The quality construction of the tote includes stitched seams and an adjustable, wide shoulder strap. Gusset pockets provide additional storage space for items requiring immediate access. Perfect as a bonus incentive, place your order today. This briefcase like bag is just great for those business trips. 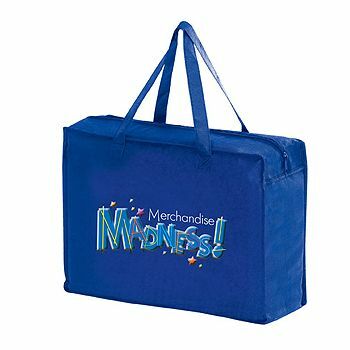 Durable and amply-sized reusable totes with suitcase-like closure are suitable for everyday personal or professional use. Customized print options provide the opportunity for advertising a business, company or organization by adding choice of design.